We learn in MKMMA through our readings and everything that we are to give before we get. We are also to “greet this day with love in our heart” as Mandino says. 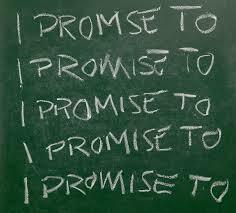 And then promises, well you know, ever say you are going to do something and then don’t do it? Giving – It’s the night before Thanksgiving here in the United States, I’m getting gas and a woman comes up to me with an empty gas can saying “Please?? ?” so I say yes and fill the can up with gas. I carry it back to her car and her and her husband with 3 kids are just down on their luck and need some gas. They are grateful and continue to wish me “god bless, thank you.” Normally I don’t give money for gas etc, but this time I did. Loving – I had a friend call me 8 am on Thanksgiving morning and needed some help. He had a less fortunate night arguing with his wife and had to stay someplace else for the night. My friend is mostly negative, down, and “why does it always happen to me” and we know those type, we stay away and think good thoughts. Well, I took him in for the day and invited him to my best friends house for Thanksgiving dinner where he could be around new people and have a fresh start for 5 hours. My hope was to show him a loving day where we are all people, friends and family. I think it went well. Promises to myself that will make a difference to my Master Keys growth, my NWM business, and my Team are going to get reworked. I am whole, perfect, strong, powerful, loving, harmonious, and happy! George, You got a heart of gold my friend. Fear not, These things will all unfold before your very eyes. See it as already done… believe ! Hello George. You have a good point. It doesn’t take much to give a little to anyone. Because is that simple some people sometimes don’t even pay attention. But isn’t nice when you give a little thing and it coming back to you without expecting reciprocity? Great work George. Happy Thanks Giving!